This is supposedly Blue Monday, the most depressing day of the year. It is easy to see why some folk are suffering from the post-festive blues and with the credit card bills coming in from Christmas, it may be a difficult time. The weather is horrendous and all in all, it can seem like a long day. Don’t be upset by all that though because there is a big card of NBA action on Monday the 19th of January, and if you are looking for great basketball action, you won’t have to look too far. There were only three games on Sunday but there was some great excitement in these matches. The Pelicans snatched a vital away win in Toronto, edging out the Raptors by a score of 93-95. The Jazz were not as successful on their travels, slumping to an 89-69 defeat to the San Antonio Spurs. The Thunder had a far more successful away day, defeating the Magic in Orlando by a score of 99-127. 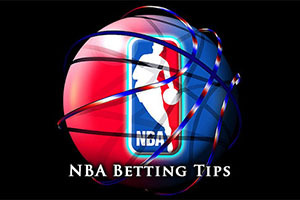 That was all the NBA action for Sunday but there is a lot more to come on Monday and in the week that lies ahead. The 76ers have an 8-32 record in this campaign so far, and this includes a 5-16 record when they are away from Philadelphia. By contrast, the Wizards hold a 28-13 record, and this includes a 17-5 record in Washington. The season form suggests that there is only one winner in this game and the Wizards will need to blow this big time for there to be an upset. The 76ers lost their last outing, and hold a 2-3 record in their last five outings while the Wizards won their last game and hold a 3-2 record in their last five games. 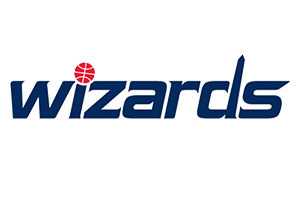 The Washington Wizards had a good win in Brooklyn on Saturday, defeating the Nets by a score of 90-99. Nene offered up 20 points and Marcin Gortat offered 10 points and 16 rebounds, helping himself to a double-double in this win. The 76ers suffered a big defeat on Saturday, losing 89-107 to Detroit, although Michael Carter-Williams, with 15 points, and Luc Richard Mbah a Moute with 11 points offered some hope. The Wizards don’t have any notable injury concerns for this game but the 76ers have a number of players they are looking at with concern. Tony Wroten is expected to be out while Robert Covington and Malcolm Thomas are being closely monitored. 1.90[/o], is likely to be a very sensible bet for Monday. Bet Now! The Pistons hold a 16-25 record, including a 10-10 record away from home, and they are the team that plenty of people are talking about these days. This is all due to a stunning turn of form which has seen the Pistons find their feet and pick up a great number of wins. They will be coming up against a side that has been in great form all season though, so this could be a difficult match. The Hawks hold a 33-8 record and this contains a 16-3 record in Atlanta. The Pistons have improved significantly, but can they take out the Hawks in Atlanta? The Pistons should feel good about having won their last two games and holding a 4-1 record in their last five games. The team from Detroit can also boast of going 11-2 since they found their feet, but all of these statistics don’t quite match the winning streak of 12 that the Hawks can currently boast. The Hawks are two wins away from levelling their best ever run of wins, 14 back in 1993/94, and the Saturday win against the Bulls, by a score of 99-107 in Chicago was a huge victory. The Pistons were also involved on Saturday, and they dealt with the 76ers in a convincing manner. The 107-89 home win kept their great run of form going and they will be thinking that if any team can take out the Atlanta Hawks record, it will be them, which makes this a very intriguing match. Shelvin Mack of the Hawks is the only slight injury concern heading into this game and it may be that taking the Pistons, with a +8 handicap at odds of 1.90 is going to be the best way for you to enjoy the basketball betting action on Monday. Bet Now! The Raptors have a 26-14 record at the moment, and this includes a 10-7 record away from Toronto. They face the Bucks, who hold a 21-19 record and this record includes a 9-8 record at home. The Bucks won their last match coming into this one but the Raptors have lost their last two games, and they are not playing with as much skill and fluidity as they have done in the past. The Raptors hold a 2-3 record in their last five games while the Bucks can offer a 3-2 record in their last five games. DeMar DeRozan grabbing 22 points was a plus point in the Sunday night loss to the Pelicans but on the whole, there is not a lot for the Raptors to be happy about with their 93-95 defeat at home. The Bucks had a much easier time of it in their last game, taking on the Knicks and shooting them down 95-79, with OJ Mayo grabbing 22 points. The Raptors don’t appear to have any injury concerns coming into this game but the Bucks have a few players they are keeping an eye on. Kendall Marshall, Larry Sanders and Ersan Ilyasova could all well be out for the home team in this game. This is likely to be a very tight affair and taking the Raptors with a -1 handicap, and odds of 1.90, is likely to be a sensible bet for Monday. Bet Now!